Germany's friendly double-header against Spain and Brazil comes too soon for Marco Reus, but Borussia Dortmund's fit-again talisman hasn't given up hope of going to this summer's FIFA 2018 World Cup in Russia. 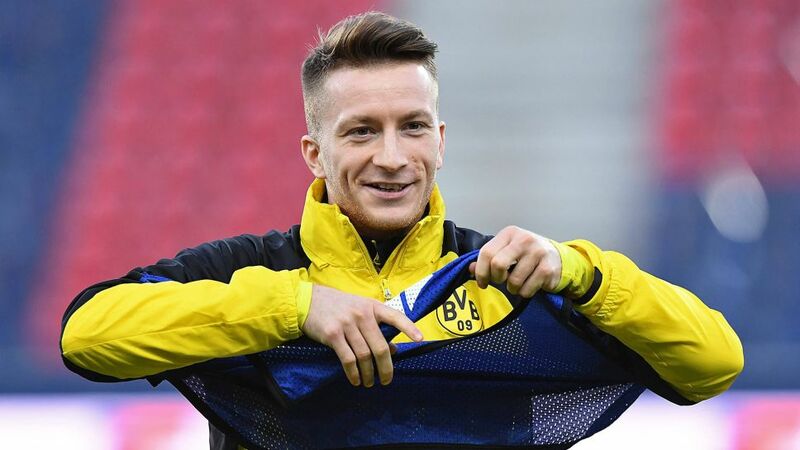 "If I play consistently and stay healthy, then I'll have a chance," Reus said, having made a spectacular return to first-team action in February following eight months out with a serious ankle ligament injury. "It's up to the coach." A fully fit Reus is impossible to ignore, but his chequered injury history – he missed the 2014 World Cup and UEFA Euro 2016 because of all-too-familiar ankle troubles - means that Germany boss Joachim Löw is not willing to take any risks on a player, whose only major tournament appearance to date came six years ago at Euro 2012. "With Marco, it's important to be cautious, to ease him back to the top level without putting any unnecessary pressure on him," Löw said. "Above all, he needs to be pain-free and fit over a longer period of time, playing and training regularly, so he can find his rhythm and build up his confidence."